When it comes to make-up, how you start your routine is key. Your foundation is the foundation for all your other make-up, after all. And what’s more, the way you prime your skin plays an important part in not just looking after it, but making sure that all your other make-up does it’s best possible job. I’ve been experimenting with bases recently, from primers right through to foundations. I’ve also tried different setting sprays to help hold everything in place and hopefully rid me of the ever annoying shine thanks to my pesky oily skin. 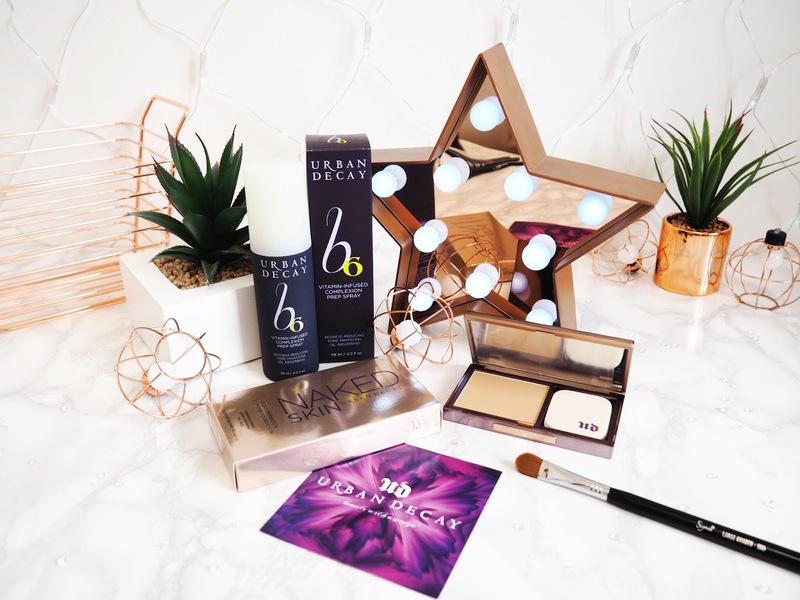 The most recent additions to my face base collection was the Urban Decay Naked Skin Ultra Definition Powder Foundation and the B6 Vitamin Infused Complexion Prep-Spray. 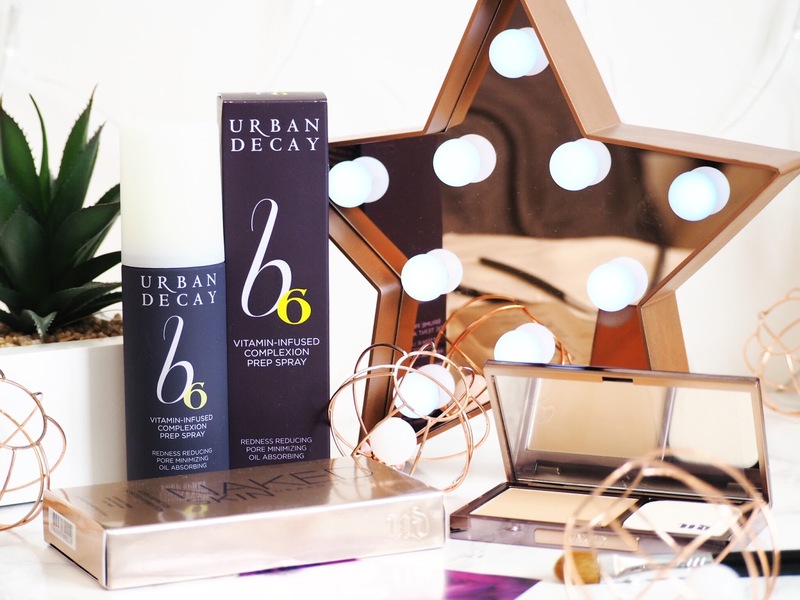 I must admit that I was very excited to try the ‘redness reducing, pore minimising and oil absorbing’ prep-spray from Urban Decay, because they’re one of my favourite brands and I trust that you can’t go far wrong with their products. I’ve become a tad obsessed with sprays, primers and setting products recently. I’ve literally got something for everything that needs priming or setting. But admittedly I hadn’t tried a prep-spray before. And I love trying new things out. Considering we take vitamins for our health and to keep our bodies in tip top condition, why wouldn’t we apply the same metric to our skin? Seems a no-brainer right? 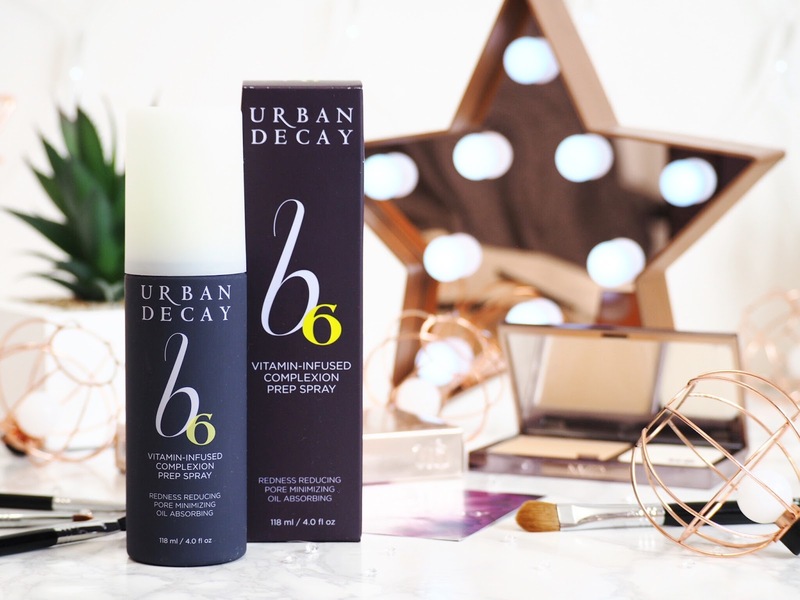 The Urban Decay B6 Vitamin-Infused Complexion Prep Spray is a one spritz wonder. It works to combat a multitude of sins and for me it’s made a HUGE difference to the way my make-up lasts throughout the day. I don’t suffer from redness or patchy skin. But I do massively suffer with oily skin, which means I’m forever trying to avoid that shine that builds up through the day. Because if I don’t stay on top of it, I get home from work, look in the mirror and look like I’ve got an oil slick on my face…it’s that bad. Eww. So using this spray was another fingers-crossed moment for me. I quickly noticed a difference in how well my make-up lasted. It works to reduce pores, and even though mine aren’t big, with my oily skin they look bigger and more noticeable when your make-up is sliding down your face! A quick spritz of this in the morning (I spray about 3-5 times over my whole face) and a few seconds to dry and voila, I’m ready to start my make-up regime. It takes no time at all and it makes me feel like I’m looking after my skin for the rest of the day. It’s win/win. For me there has been a definite improvement on how long my make-up lasts with this spray. I still have oily skin – I probably always will. But this spray helps me retain for longer, the matte look that I go for with my make-up. Because it’s an oil free product, and it contains a form of B6 which absorbs oil, it means it’s an oily-skinned persons dream. So for a bit of vitamin prep to keep things clean and healthy on the skin, while also working to keep my make-up looking better for longer, this has been a BIG hit. 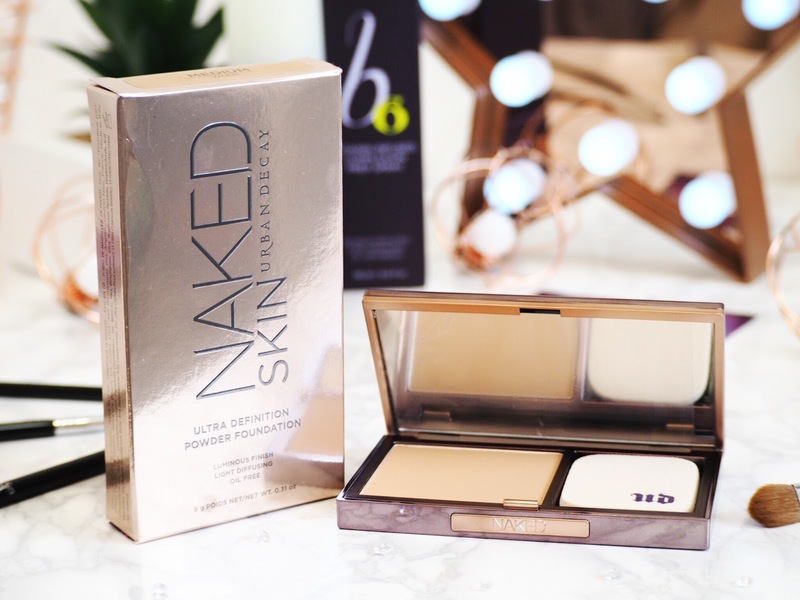 I haven’t used a powder foundation in years because I like the full coverage look that you only get from a liquid foundation, but was keen to give this a go because I’ve heard so much about the Naked foundations. Coming in a palette with applicator sponge, the compact itself also comes with a cute pouch to protect it from crumbling…which also protects your handbag and make-up bag. Winning. The texture of the powder is beautiful, it’s smooth and rich, and almost buttery without being creamy. It’s an absolute dream to blend. I loved it from the get-go. As a foundation, it’s coverage is nice too. The colour payoff is good, and like all Naked products they’ve managed to create colours and tones that blend well and give the effect of naked skin – but better. For me it lasts really well and is a lovely powder, but with my skin being oily, and the fact that I like full coverage foundation, a powder alone doesn’t cut it for me. So I apply this as a second stage foundation or setting powder over my normal foundation…and flip-me, I’ve never been happier with my base. Combined with liquid foundation, this gives the most matte and high coverage face base that I’ve ever had. Because it’s so creamy and blendable, you can build this up to the level you’re comfortable with and know that because it’s oil free (hurray!) it’s not going to make your skin look shiny. 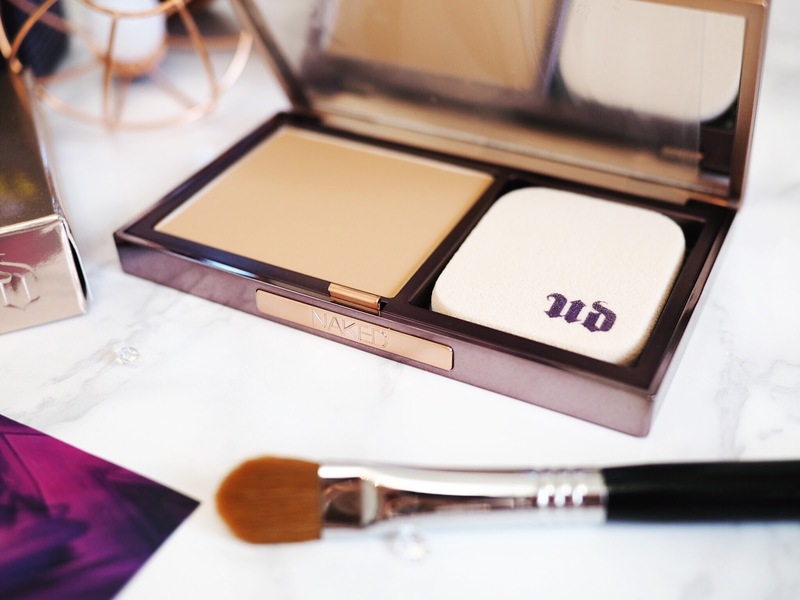 It’s called ‘ultra definition powder‘ and I’m seriously impressed with it’s capabilities. If you like a powder foundation that’s buildable and breathable, you’ll love this. And likewise if you’re like me, you’ll love this as a second stage foundation for that intense matte and full coverage base. 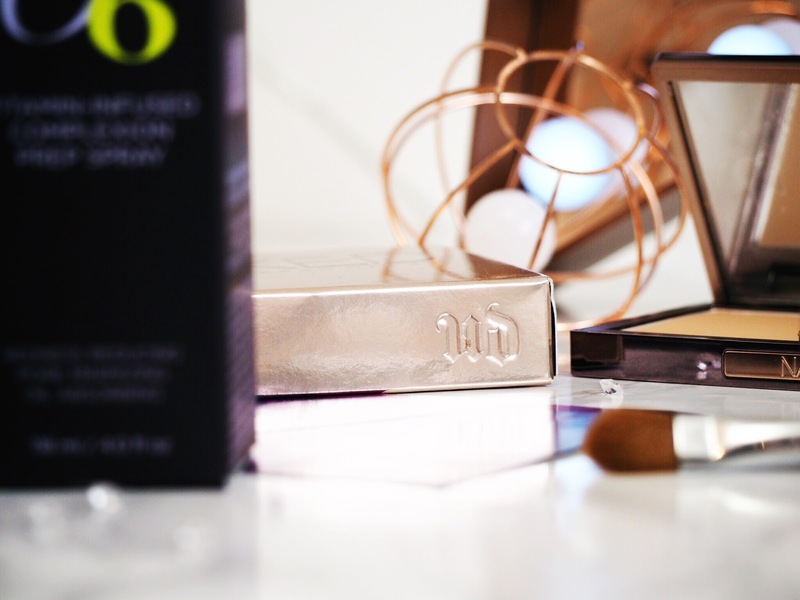 So as far as experimenting with my face base goes – which by the way, even though I experiment, is something I am quite precious about, well, I’ve got two new permanent additions to my make-up routine. They’re both excellent for those of us with oily skin. 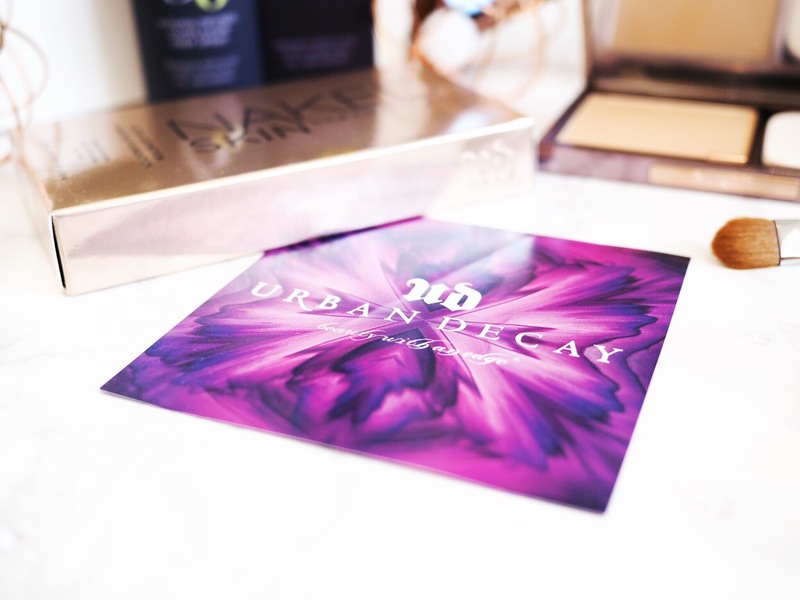 Check them out and gets yours from the Urban Decay website. What do you guys think? Do you like the sound of these and would you use a prep-spray?